G. A. (Gyp) Brown is regarded as Leila Lake�s founder. Brown also became Donley County�s first judge. The town was named after Brown�s sister-in-law, Leila Payne. 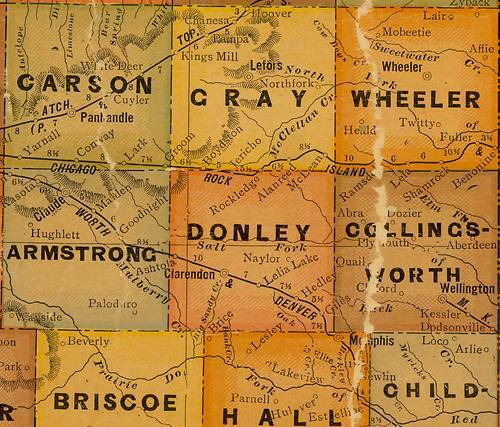 It began life in the late 1880s along the Fort Worth and Denver City Railway. 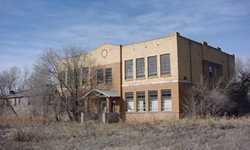 The depot was one of the first buildings. 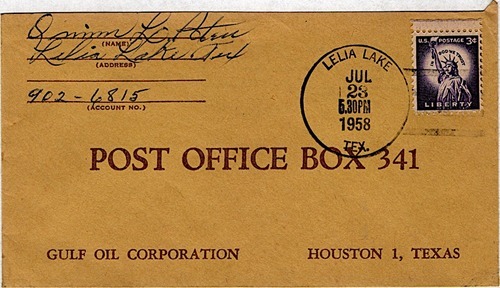 A post office was granted in 1906 but since the post office already had a Lela, Texas recorded on its books, they hurriedly added Lake to Leila to avoid confusion and (especially) misdirected mail. The town had its first school in 1896 and by 1915 the community had most essential businesses as well as its own doctor. By the mid 1920s there were 150 residents, doubling before the end of that decade. By 1933 it was back to 150. Recovery was slow but shortly after WWII the population had reached 500. The 1950 census showed a decline to just 300 and by 1970 there were only 125 Lelia Lakers. The same number was used for the year 2000.